It's FALL around these parts and I couldn't be happier! I broke out the boots this week and have been wearing sweaters! LOVE!! 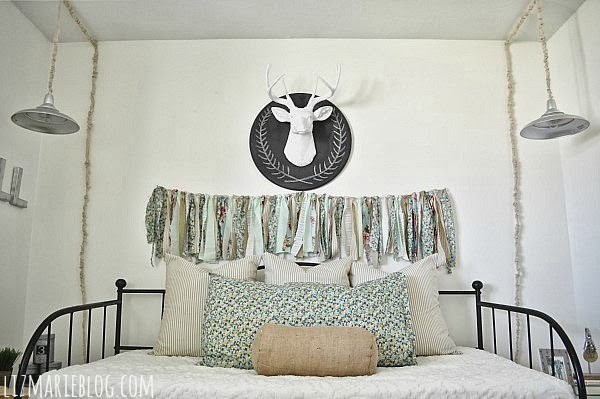 First up, I loooove this room makeover by Liz Marie Blog. Whimsical and fun! Just my style. 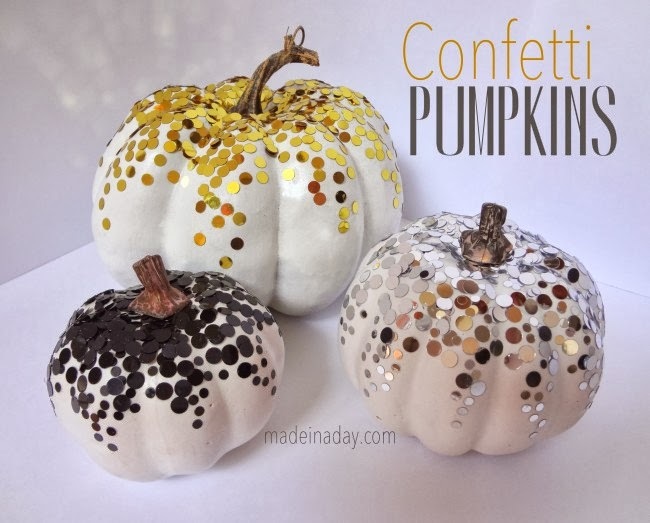 Next up, these confetti pumpkins by Made In A Day are adorable! I am loving gold lately! You? 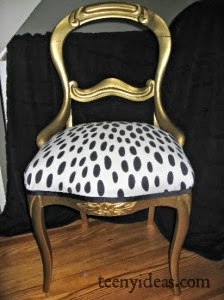 Finally, continuing on that gold theme...check out this great chair makeover by Teeny Ideas. Perfection! Thanks for hosting, Wendy. I'm so in love with that gold chair! Thanks for hosting. Hope you have a fabulous weekend. Such fantastic ideas! Thank you for hosting! Thank you so much for hosting, hope that you have a great weekend. Thanks so much for hosting, Wendy! I'm completely loving this fall weather as well. Have a great weekend! I love Liz Marie's style and all the other features as well. Thank you so much for hosting. My first time joining your party. It is a shame that I missed your party. I guess, I need to share my last week's post too. By the way, I'm hosting a contest giveaway on my blog this week. I'm giving away interior designer Jan Shower's new book, Glamorous Retreats. I'd love it if you'd stop by and enter!